I can say with certainty that people put a lot of thought into their wedding shoes. Who can blame them? This is an item you will likely wear again, and is a place where you can continue to express your personality and values. Don’t miss the recent post about my 2018 real wedding cakes. 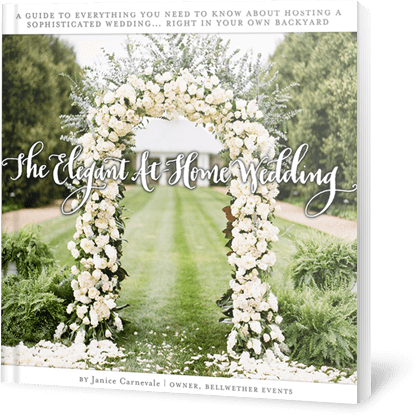 If you want more 2018 fun, check out my 2018 wedding data review. You can also check out shoes from our 2017 weddings, 2016 weddings and 2015 weddings. I love the shoe being your something blue. Love love love it. And these velvet shoes are just slaying me. I am so obsessed. Copper is still on trend, and the shoe industry has caught on, thank goodness. But also, I love those glitter heels. And those strappy, silver sandals – you know A was comfortable on her wedding day! You can’t go wrong with a classic white pump, am I right? Lace and texture was clearly the winner in 2018. Of course, many women (and some men) bring a change of shoes – or two! – to the wedding. I think this is a good idea if you are wearing uncomfortable shoes to start. Or you could just wear comfortable shoes the whole day – I recommend this! You will be on your feet for close to 6 hours, just be comfortable! Which of these wedding shoes are your fave? What are you going to wear on your wedding day? I wore white, though I tried to find a coral pair but was unsuccessful. Looking back, I sort of wish I wore blue. I can’t remember what my something-blue item was! I hope you are enjoying these round up posts from our 2018 weddings. I have a bout a dozen more to write, so please keep checking back over the next 4 weeks.